The Rebel Sweetheart. : Sneak Peek | The Face Shop x Dreamworks Trolls Collection. Poppy Tone-up Cushion (Mint), 20000 won. 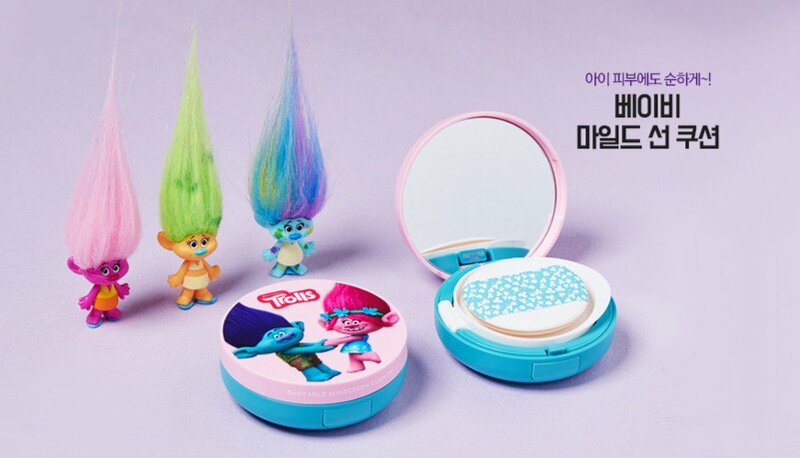 Poppy & Branch Tone-up Cushion, 20000 won. Available in three shades - Mint, Lavender, and Pink, the Tone-Up Cushion is actually a makeup base (yes, primer) in cushion form. They're great for covering skin imperfections and prepping your face for makeup. 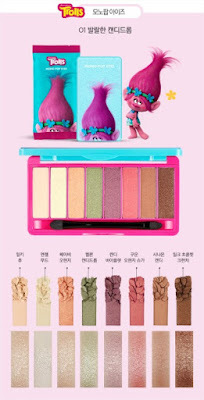 Poppy Mono Pop Eyes, 10900 won. Branch & Poppy Mono Pop Eyes, 10900 won. Also included in the collection are two palettes of the Mono Pop Eyes. Each palette contains eight different shades of gorgeous eye color. Next are the Cushion Blushers, with three different shades to choose from - Rose Cupcake, Coral Cupcake, and Shimmer Cupcake. 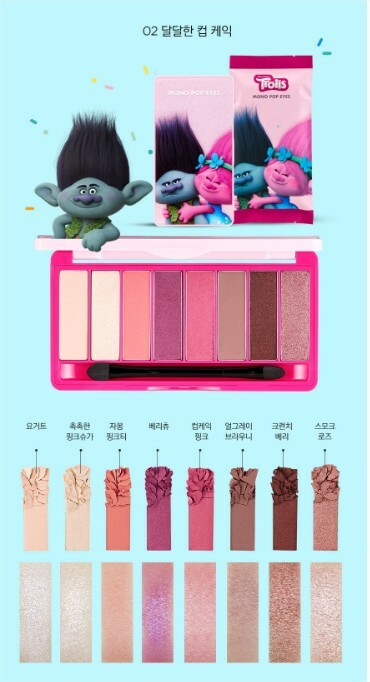 Each blusher retails for 7000 won. Dual Veil Concealer, 11000 won. Ink Draw Dual Eyes, 12000 won. 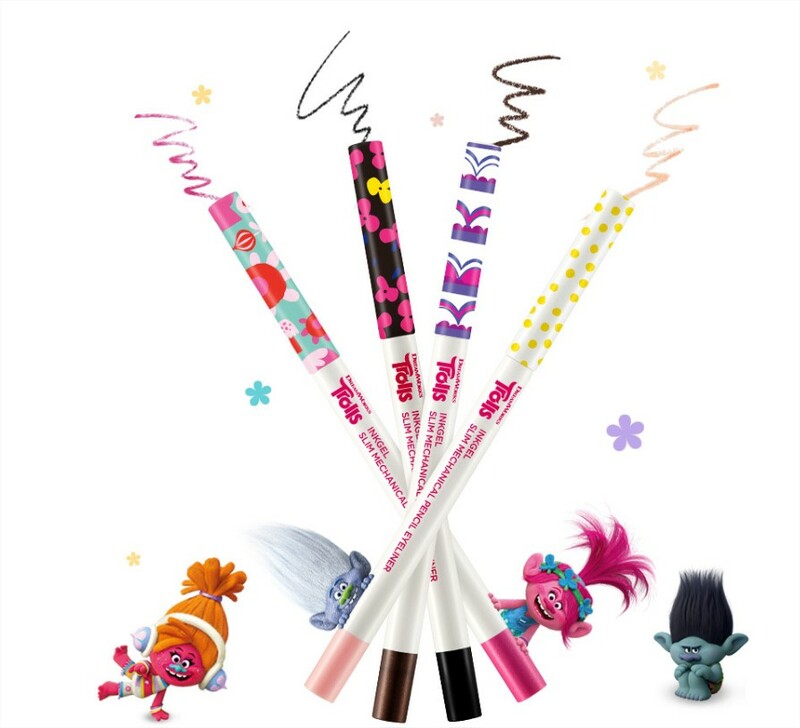 Ink Draw Dual Lip, 12000 won. 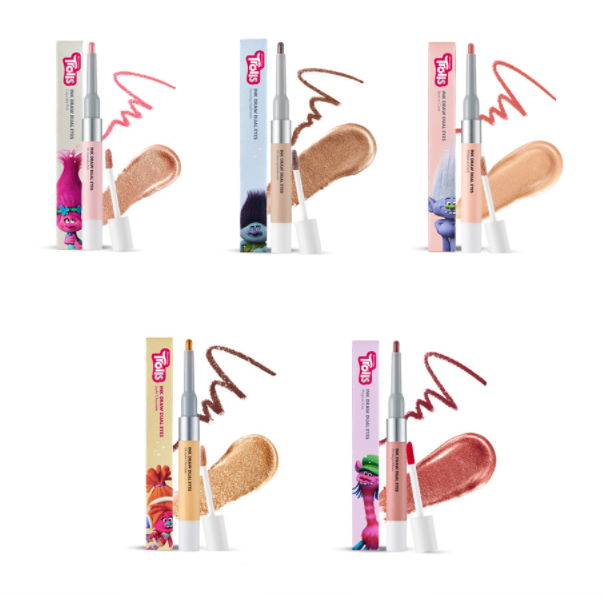 Gel Slim Sharp Liner, 8000 won. 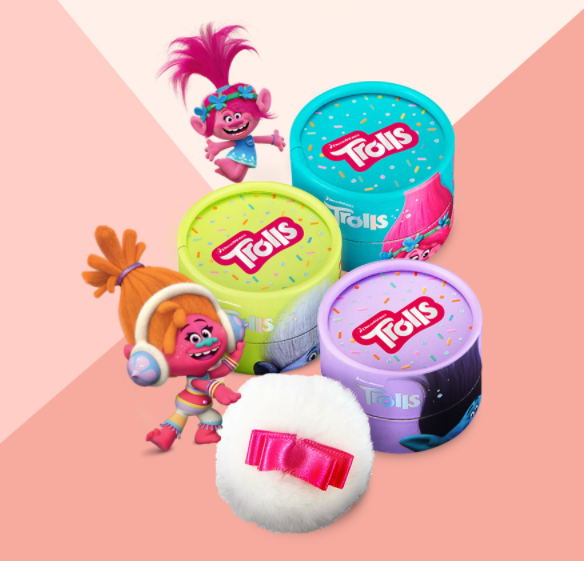 The Trolls also bring an extra pop of color to your nails with new Trendy Nail colors, each shade with a Troll namesake (think Poppy, Branch, DJ Suki - you know the drill). 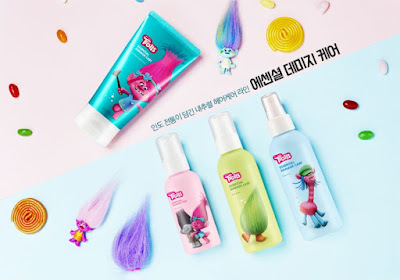 The Face Shop x Dreamworks Trolls haircare line. 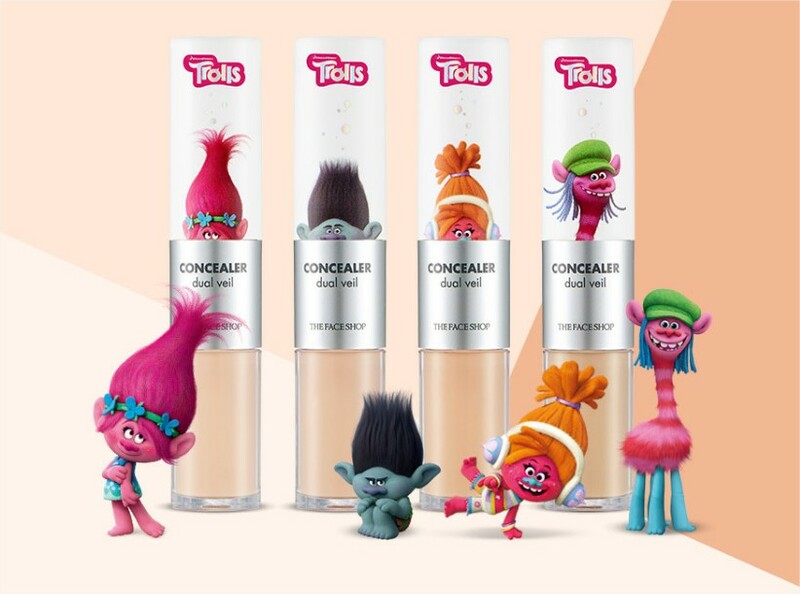 Finally, there's an all-new haircare line dedicated to these hair-raising creatures. There's a hair treatment pack (9000 won), hair essence (11000 won), hair serum (11000 won), and a hair mist (9000 won), all designed to keep your tresses soft, shiny, and silky-smooth. 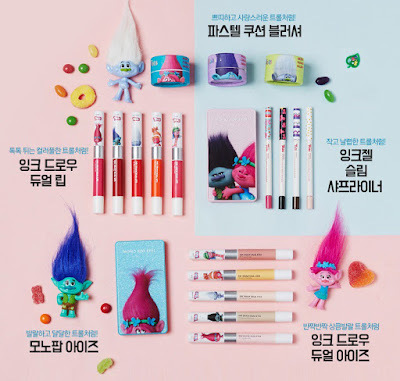 This collaboration collection was officially launched a few days ago, and these products are now available at The Face Shop stores in South Korea. 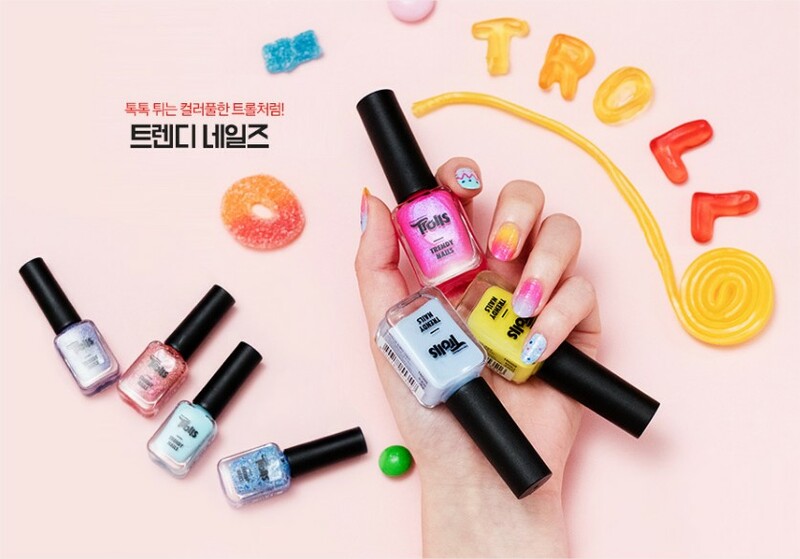 I hope they'll still be in stock when I fly to Seoul next month. I'm leaning towards the Tone-Up Cushions as I have not tried a primer in cushion form before. That looks really like a lovely collection! My husband's niece would LOVE this! I like the different characters available as well. These are crazy adorable! I used to love trolls especially when I was a kid. It's nice to see them making a comeback. The palettes are just so lovely and so are the lip products! What an adorable collection! They have a great spread of products to look forward to, without a doubt. The lipsticks and the nail colors are the ones that I would love to have. Little girls gotta have their makeup too! 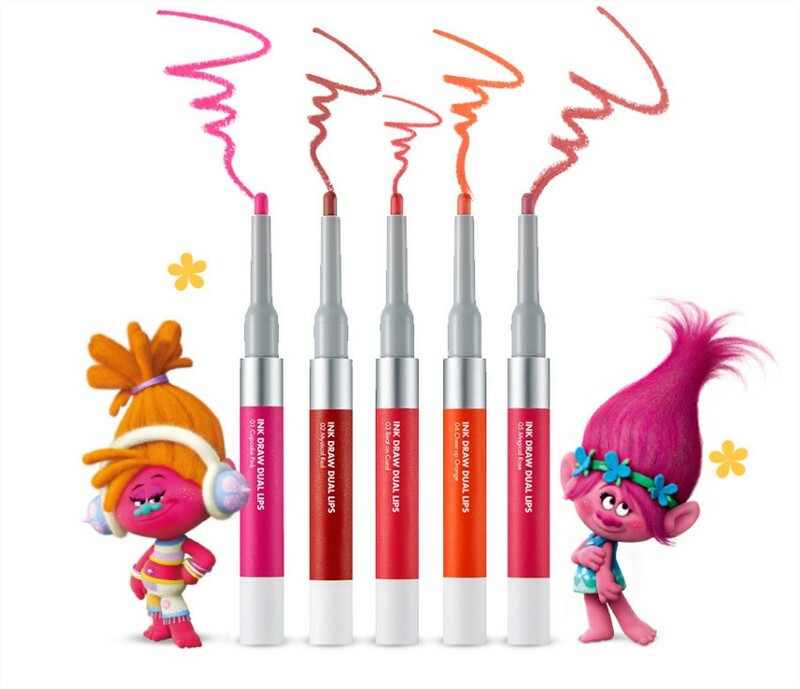 This is a wonderful starter kit to get young girls introduced to makeup. 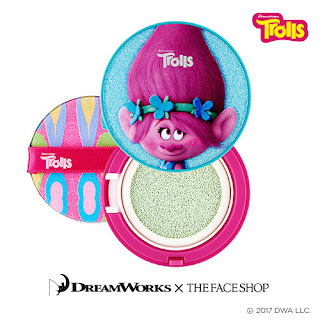 What adorable little trolls and a cute make up collection , Great for a young person learning about makeup too!